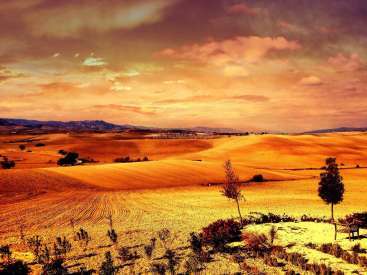 Help and live on a farm in the Emilian Apennines - Italy! 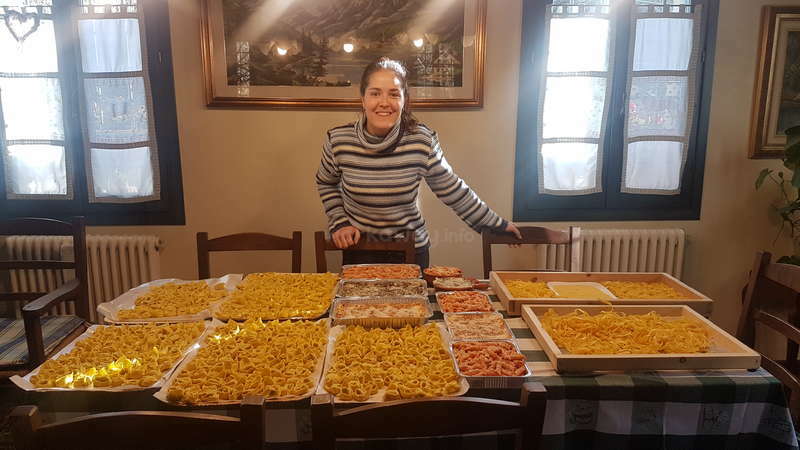 Hi, I'm Alfonsina, an italian business woman and owner of a 33 hectare farm located in the Emilian Apennines, within the Park of "Sassi di Rocca Malatina", in the little paese of Samone - 3KM from Zocca (province of Modena, Emilia-Romagna). 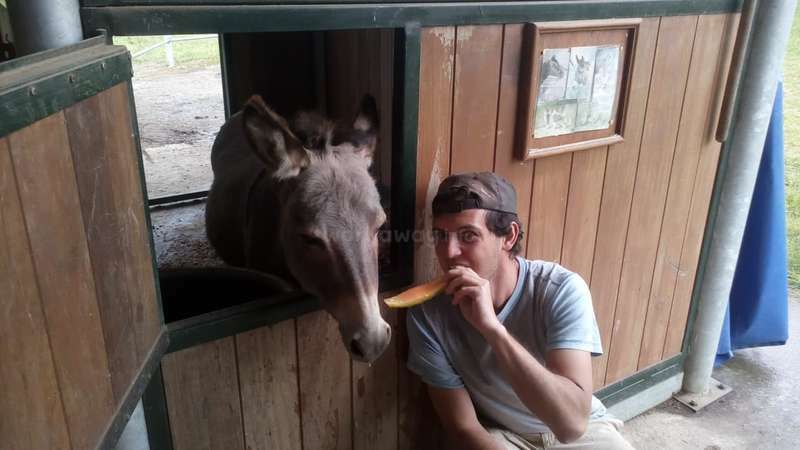 I'm looking for a person who loves nature and animals, wants to improve the italian language, and is willing to help in the habitual work of gardening, cultivation of vegetables and fruits, care of horses and Berto, my donkey (the only types of animals present in the farm other than the family dog). 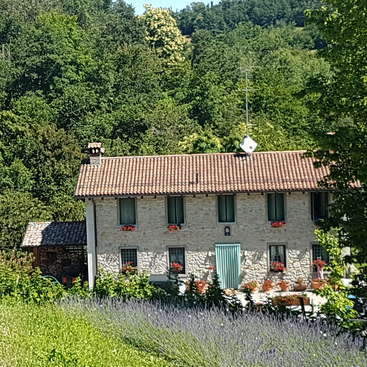 Ideal for those who love peace and want to experience something different from the usual, in contact with nature, learning the italian language (the only language spoken at the farm). We are foodies. Here we cook every day with the fresh products from our own horto. You can have tasty italian food every day and learn how to cook the food you eat - I can teach you all the tradicional recipes! Ideally we want people who can stay for at least 4 weeks to learn the routines which change with the seasons. I'm sure that you are going to have an amazing experience here. Everyone that we have hosted over the years have had a chance to take days off to visit Italian cities. Nearest airport and railway station: Bologna. Preferably send me email in Italian. Horse riding is not available in our farm. My farm is located near many hiking trails that you can enjoy the nature, the mountains and the bosche! Also, you can visit the bigger towns locally. 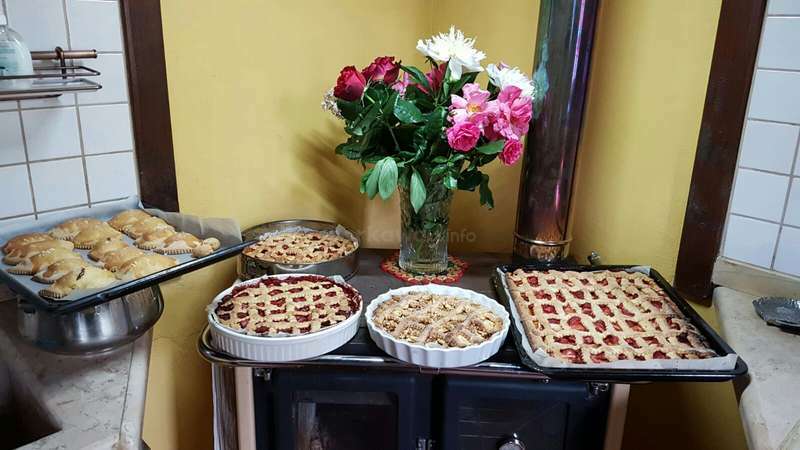 - if you are interested, helping in the kitchen to prepare the food each day: Alfonsina is disponible to teach all the tradicional recipes of the Emilia-Romagnia kitchen. A room in my house, with private bathroom, hot water and Wi-Fi. The nearest railway stations are Bologna and Modena. 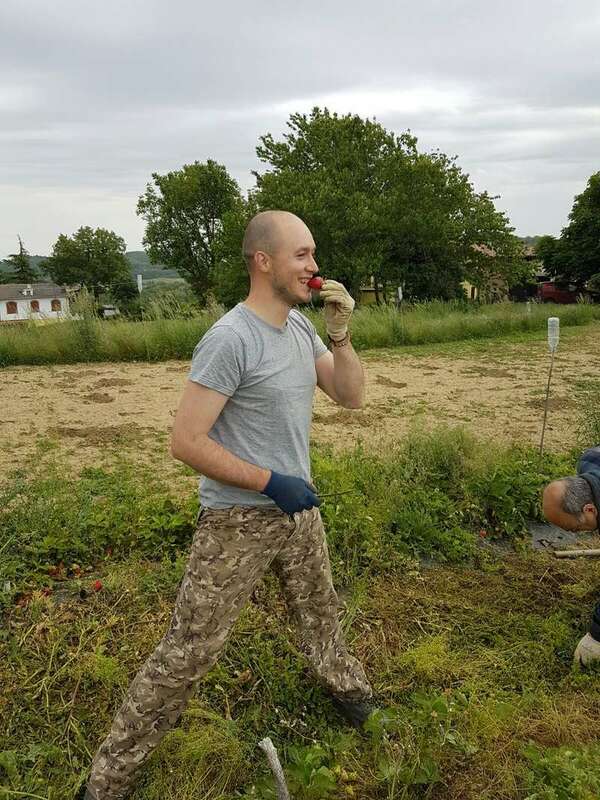 Douglas (from Brasile) picking strawberries! A busy day of baking! Me with two hosts of summer 2016: Anneleen from Belgium and Marco from NYC. Me (in the center) with Jennifer, my first host from Scotland (on the right) and Irene, my second host from China (on the left)! Robert ha lavorato molto bene. Ma avete due problem. Lui ha arrivato con poco vestiti e senza sapone o dentifrici. Abbiamo fornito vestiti per il lavoro. Tante volta che gli veniva chiesto se avesse dei vestiti da lavare la risposta era no. Non so come si è lavato. Quando lui ha partita, il suo camera da letto l'ambiente mal odorante. Karin è stata per noi un'ospite eccezionale! Il suo aiuto è stato prezioso e rimarrà sempre un bellissimo ricordo di questa esperienza. Gentile, socievole, educata, sempre disponibile a dare una mano. Grazie Karin, sei sempre la benvenuta! 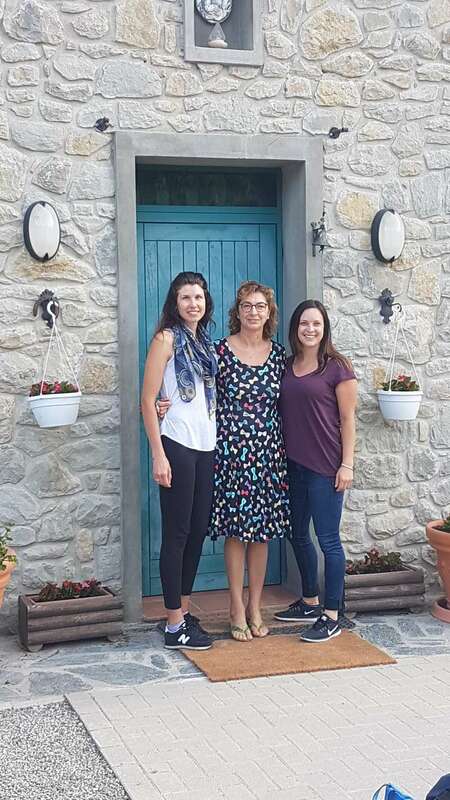 I want to say a very big Thank You to Alfonsina and Gianni for hosting me at their beautiful farm in the peaceful Italian countryside - my first Workaway experience. All the animals are fantastic - Athena, the loving elderly Alsation; Berto, the very comical donkey; Golly, the very friendly and affectionate mare; Bonta, the shy but beautiful mare;… read more Christo, very old and rather aloof gelding. I also had the opportunity of meeting Alfonsina's good friend Linda.....always happy and laughing.... Alfonsina never expects anyone to do work that she will not do. A great work ethic and no-one is afraid of hard work which results in an immaculately beautiful farm. A very happy work environment and a memorable experience that I would recommend to anyone who is willing to work hard. Grazie mille! Our time in Alfonsina house was great! She and Gianni made us feel right away at home. 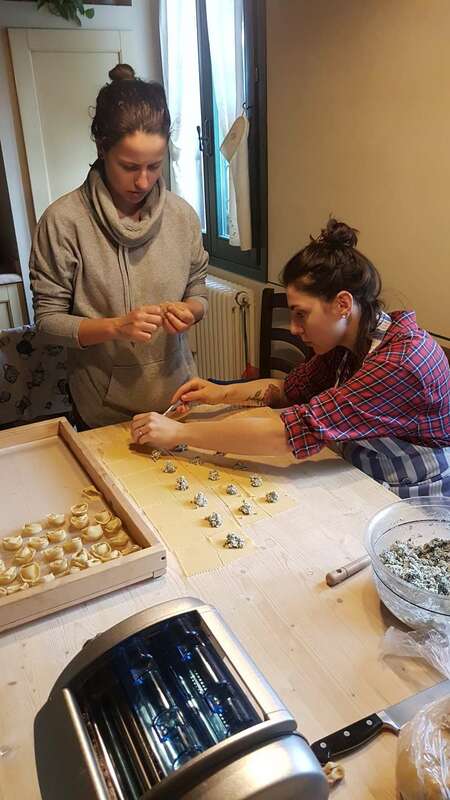 We learn how to make a lot of Italian recipes, we learn Italian, the work was nice (the horses are awesome and the place is beautiful) and about the hours: Alfonsina has a big place and need people that understand that sometimes you will work "hard", but you… read more will be free to do your own schedule too. And when she needed something, was a pleasure to help. She and Gianni are two classic Italians with big hearts! She has done so much for us that I have no words... This is an experience we will take for life in our hearts. Hope to come back someday soon. Il nostro tempo in Alfonsina è stato fantastico! Lei e Gianni ci hanno fatto sentire subito a casa. Impariamo a fare molte ricette italiane, impariamo l'italiano (almeno un po'!!! ), il lavoro è stato bello (i cavalli sono fantastici, Berto nostro favorito e il posto è bellissimo) e a rispetto di le ore: Alfonsina ha un posto grande e ha bisogno di persone che capiscano che a volte lavorerai "difficile", ma sarai libero di fare anche il tuo programma. E quando aveva bisogno di qualcosa, era un piacere aiutare. Lei e Gianni sono due italiani classici con un grande cuore! Lei ha fatto tanto per noi che non ho parole... Questa è un'esperienza che prenderemo per la vita nei nostri cuori. Spero di tornare presto - ci vediamo a Brasile anche! GRAZIE MILLE, AL! Bacio a te, Gianni e nostra bimba Atena! I knew no Italian when I arrived and when I left, I knew so much that I can't even remember the English words for certain things. Alfonsina taught me so much! She is an incredible woman who is so strong and kind. I learned how to make Italian pasta and tarts. I ate the best food of my life. We made… read more pizza too! Oh my word- so good! Alfonsina is the best cook in the world! I cried like a baby when I left. Haha. I felt like I was part of the family. You will work hard, and longer than 5 hours a day. I typically started at 8am and worked until lunch time. After lunch, I would go exploring in the mountains. I usually worked again from 6pm for an hour or two. The work is really fun though so it was no problem. I learned so much from Alfonsina- she is one of the most incredible people that I have ever met. I also got to work at the market- now that was a lot of fun too! The horses and the donkey were so wonderful. I have so many memories- I could speak for days! Haha. I just have to say a huge thank you to Alfonsina. This was a wonderful experience. Alfonsina me recibió antes de la fecha pactada y estoy muy agradecida por eso, es una excelente cocinera y la casa es muy acogedora. Durante mi estadía en su casa realicé distintas actividades: limpieza de pesebreras (4 caballos y 1 burro), ayuda en cocina, cargar leña para las estufas, ayuda en la preparación de alimentos que se venden en el… read more mercado, limpieza de la casa; trabajé entre 5 y 7 horas al día, y estuve en su casa por 20 días con solo un día completo libre. Gianni su colaborador es muy simpático y siempre fue un agrado trabajar con él. Alfonsina tiene un carácter muy fuerte y un trato muy particular, lo que motivó mi salida de la casa antes de la fecha acordada (un mes). Grande e buona persona. Grazie Younes!! A very kind, polite and hardworking host. It has been a pleasure have Marina in my farm! La mia esperienza di volontariato con Alfonsina e il suo amico Gianni a Samone negli Appennini è stata favolosa. Alfonsina è una persona gentile, grande lavoratrice ed accogliente, consentendo un soggiorno confortevole ed una piacevole cucina italiana. Un'esperienza di lavoro lontano da casa unica che dipende da ciò che vogliamo ottenere da essa.… read more Certo, il lavoro può essere difficile ed intenso, ma se vi piace l'idea di agricoltura, circondati da calma in un sorprendente paesaggio sugli Appennini, questa può essere una grande esperienza. Raccolta delle fragole, cura delle stalle dei cavalli e dell'asino dando loro da mangiare, lavorare nell' orto e prepara le verdure da vendere al mercato è un'esperienza di apprendimento molto piacevole. Si tratta di una grande opportunità di volontariato per chiunque. My volunteering experience with Alfonsina and her friend Gianni in Samone in the Apennine Mountains was great. 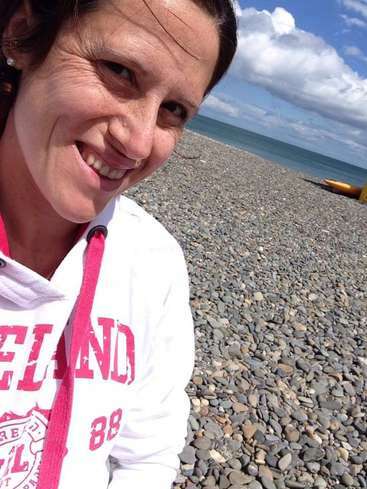 Alfonsina is a kind, hardworking & welcoming person, allowing for a comfortable stay and nice italian cuisine. A unique work away experience like this really depends on what you make of it. Sure, the work can be hard and long, but if you like the idea of farming whilst surrounded by a calm & amazing landscape of the Apennine Mountains, this can be a great experience. Berry picking, cleaning the stables and feeding the horses and a donkey, working in the vegetable garden and preparing the vegetables for the market all made for an enjoyable learning experience. It is a great volunteering opportunity for anyone. 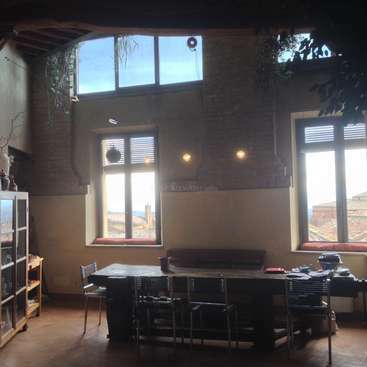 Such a great place to have a real Italian experience, Alfonsina is really a nice and kind person and she is also a great Chef so the food is so good, I remember when I arrived in Alfonsina's house without any Italian but now I can speak Italian because She helped me a lot. I stayed in Gianni's house, he helps Alfonsina, it's near her house, the… read more place is beautiful and so comfortable and Gianni is great, he is a funny guy, he also helped a lot teaching me Italian. If you like animals and like being in the nature with a family atmosphere this is the best place to volunteer, work can be hard and very easy, it depends on the day but I'm sure you are going to have a nice and unforgettable time there. 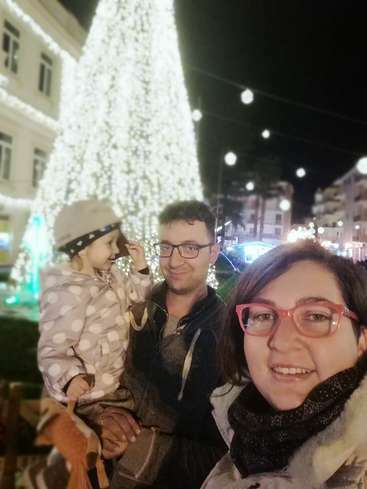 They became a family for me, I stayed more than 3 months there and I had the opportunity to be in Bologna, Modena, Firenze, Maranelo e Vignola all cities near by. I could not forget to talk about mamma Elsa, Alfonsina's mother is great. When I was there Linda was there too, she is a friend of the family and she is like a grandmother, very very kind. I would rightly recommend a stay at Ca'borelli, my experience was amazing!! Grazie mille di tutto famiglia Ca'borelli. Staying with Alfonsina and her family was my first Workaway experience and I could not have wished for anything better! From the minute I arrived I felt that I would be staying in a very loving family. As I was only 18 years old, Alfonsina and her friend Gianni took me in as if I were their daughter. I loved working with the horses in the morning… read more and cooking in the afternoon. Alfonsina also makes sure you can explore the surrounding areas and the local habits and people in a way that is fit to your interests; for example, I love horseback riding, so she arranged a trail ride on horseback through the Appenine hills with a friend of hers, for which I am forever grateful, it was an amazing experience! She is a hard worker, and I truly admire her strength. I hope I can go back some day! What a beautiful place, high up in the rolling hills of stunning Emiglia Romagna. I especially loved working with the horses in the morning, and helping to prepare some of the most amazing meals in Italian Cuisine. Alfonsina is a master chef! We ate something different for lunch and dinner for 4 weeks, almost without repeating a thing. Also, I've… read more never found a place that helped me more with my Italian. Grazie mille Gianni, Elsa, ed Alfonsina!!! Come on hols with us near Lake Como, Italy!